Author Lauren Weisberger is working on a new novel, “Revenge Wears Prada: The Devil Returns,” a sequel to her blockbuster first attempt, to be published in April 2013. 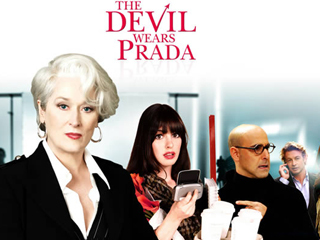 It’s been nine years since Weisberger’s first effort, ‘The Devil Wears Prada’ made its way to the top of the best-seller lists detailing the ruthless goings-on at ‘Runway’ magazine, particularly between editor Miranda Priestly and aspiring journalist Andrea “Andy” Sachs. Weisberger, a former real-life assistant to ‘Vogue’ editor-in-chief Anna Wintour, then saw the book sashay to Hollywood, where it became a 2006 film starring Meryl Streep, Anne Hathaway and Stanley Tucci. According to Entertainment Weekly, the story picks up eight years later in ‘Revenge’, with Andy editing a bridal magazine called ‘The Plunge’ along with Emily, her onetime ‘Runway’ nemesis, the Daily Telegraph reported.